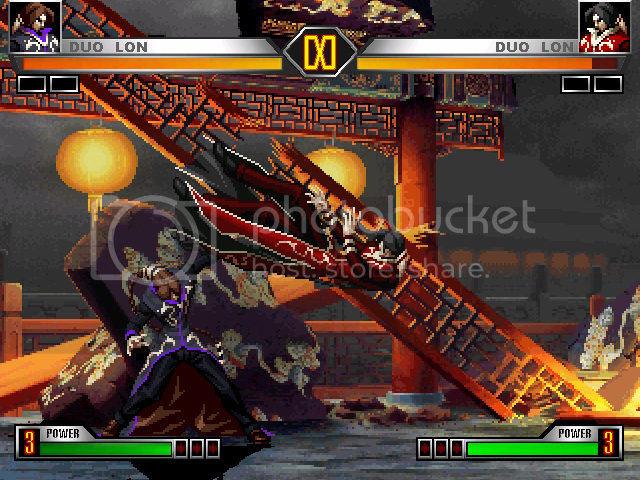 The Mugen Fighters Guild - KOFE v0.95 New Challengers! KOFE 0.95 is getting 8 new characters. 2 of them (Shermie and Yashiro) were released as a booster, but will be officially released here. Shiki also returns to the roster as a secret boss character and is rebalanced accordingly. This will be the last roster update befor the 1.0 release. 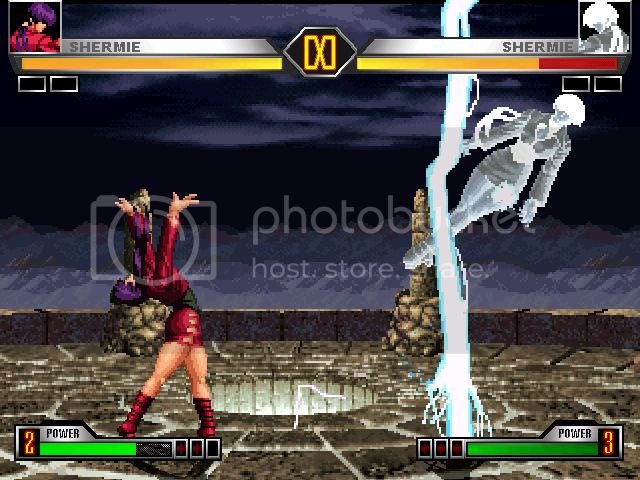 Shermie is a combination character since she had 2 separate versions in the regualr KOF franchise. Since the story of KOFE takes place after '98 and since her Orochi version provides more interesting gameplay, she leans towards her Orochi self. She has several new moves to balance her out including a lighting strike DM and lightning suplex SDM. She also has her regular version's special throw for defending against close offense, complete with the rushing knee follow up. Like Shermie, Yashiro is a combination of his two versions. He is very throw centric though. He uses the new KOFE air to ground grab to launch opponents in the air for combo posibilities. Since his last release, his running grab has been tweaked so that it grabs without waiting for the animation to end, making the move more effective in combat. 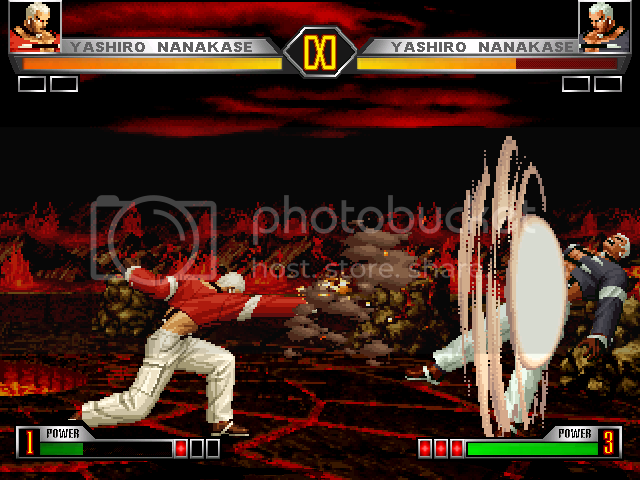 Yashiro also benefits from other KOFE standards, like teleportation invincibility and off the ground striking, making him a very strong character. 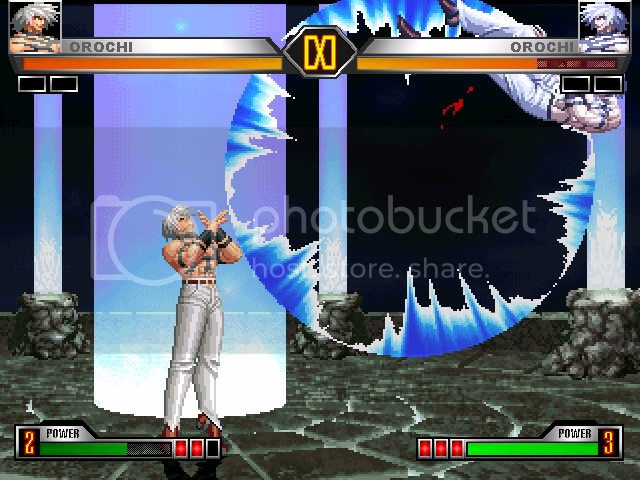 Like Zero, Orochi underwent some big changes to be brought up to KOFE standards. He uses the Mizuchi art style since the quality is better. He gains a new dodge animation and kick throw. In terms of new moves he has the fastest teleport in the game and, like in 98UM, his genocide cutter is a special. His counter attack now counters all strike attacks from any level (high, med, low). His regular projectile is like a DM projectile just like Zero's and uses the Mizuchi effects. He has a wide assortment of new DMs and his HSDM is an instant kill throw. Duo Lon is intended to play more like his complete XIII version. He gains projectiles and more variety with his earth stomper including the ability to stun opponents into a combo opportunity. His teleporting kick can now be done in the air increasing its offensive capacity. He remains as the only non boss character to be able to teleport backward. He has a new kick throw as well. 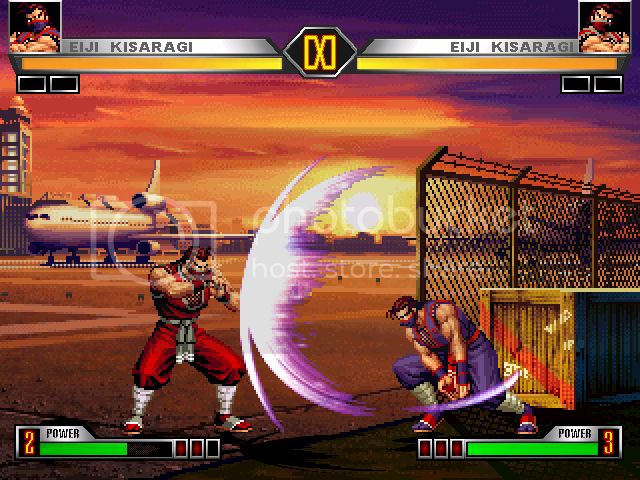 The video below shows a sixth move that had him using an anti-air kick, but this move was removed due to balance issues. 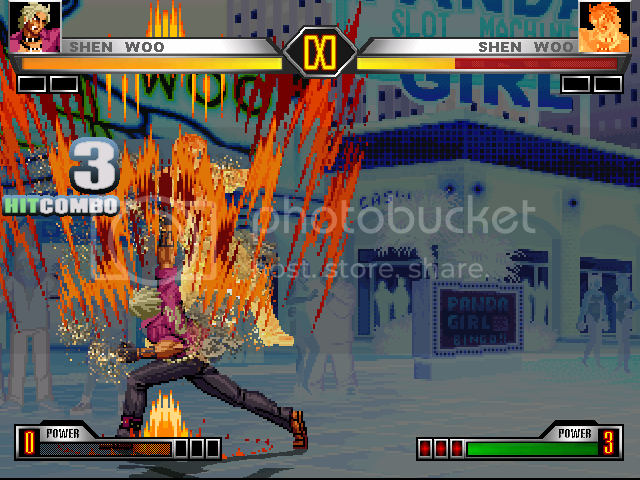 As with the other Ash saga characters, Shen gains move of his XIII moves. He has an autoguarding anti-air strike and a new close up punch combination attack. He loses the ability to power up with his DM, but his speed and juggle potential allow him to do some decent damage. He gains a new "headbutt" throw as well. His HSDM is taken right out of XIII and can be tagged onto some launcher combos for serious damage. The SDM in the video is outdated as he now lifts the opponent up before delivering the final blow. Eiji is a little bit of a blend character that feels familiar, but also plays a little different. He has his fireball that acts like Andy's (2 different versions). He keeps his reflect, but it only snuffs fireballs like Yuri's Sai Ha, or Mai's Firetail. He also loses his cutter attack. It felt somewhat redundant in his gameplay. I felt his '98 UM kunai toss was worth more to his gameplay. 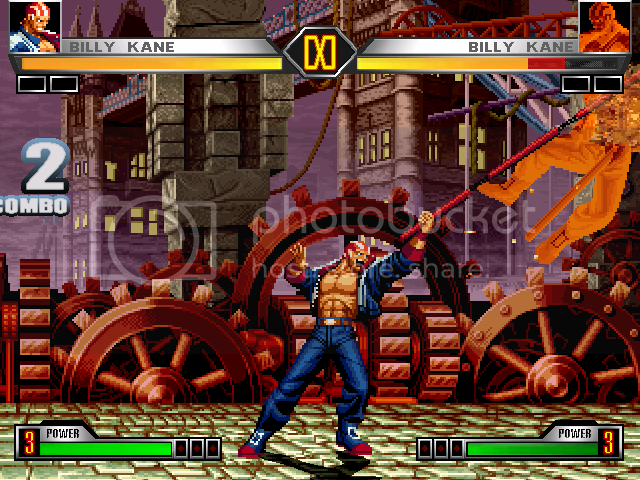 Another big change is his multi-kick that acts more like Lin's from KOF 2k. It's easier to hit with it for full damage. Nothing should surprise outside of that and he feels very balanced despite the larger moveset. Billy plays like a mix of his RB self and '98 self. Following the FF WA theme of the game, he takes his look from that game (AKA his '03 look). With the spriting help of Jeffrei, we still managed to port most of his old poses and moves. As with other weapon fighters, his weapon loses its hit collisions at the cost of his slower gameplay. In terms of move tweeks, he gets a follow-up attack to his Sparrow Killer and uses the Salamander Strike as his DM. Not much else to point out here. That's the line up of the latest fighters to hit KOFE. You'll have to wait for the next release for the remaining cast. Re: KOFE v0.95 New Challengers! Is that all there is or is there more to come? I still have to post Eiji and Billy. Just trying to wrap them up. Shiki will be included too, but she won't get a profile here since she's just a re-release. Is there any chance that we will se Chris? You cannot have Yashiro Nankase and Shermie without Chris. I was thinking about Chris too. You're both right; Chris is being worked on, but he won't be in v.095. He'll probably be there in the next version. i hope you get chris in there soon its been along time since you updated us on any info about the game, and when will we get ryu and L.A.s booster chars?